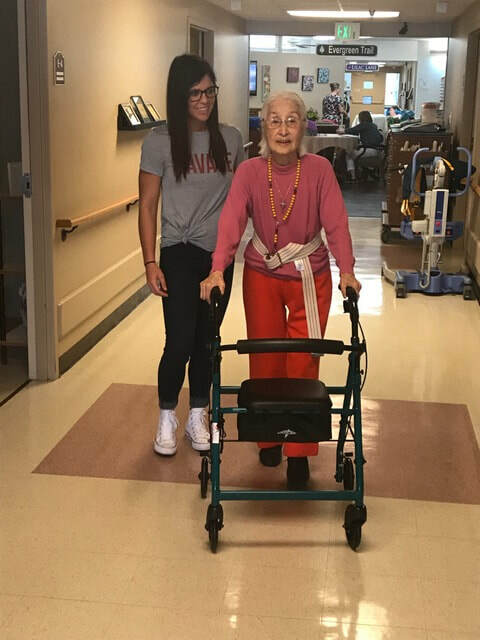 Our rehabilitation team consisting of licensed physical, occupational, and speech therapists are fully committed to restoring and improving your quality of life. We have therapy programs for short-term rehabilitation after a surgery or hospital stay as well as outpatient rehabilitation. 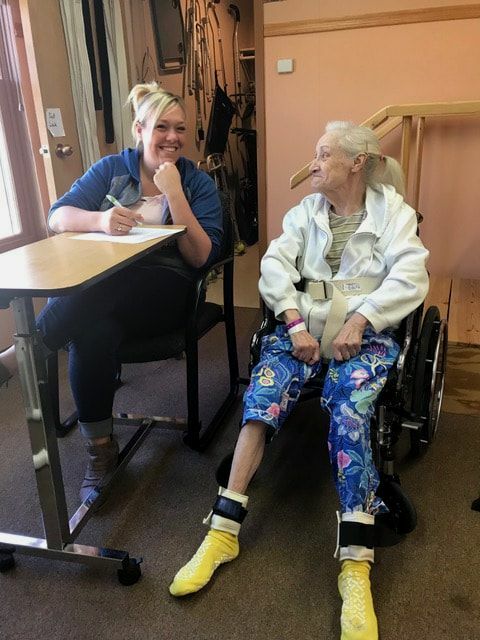 Upon admission, our therapy will perform an assessment to determine various functional levels including mobility, activities of daily living (ADLs), communication, cognition, safety, and medical nursing needs. We work closely with you and your doctor to design a personalized treatment plan establish your goals for recovery. Your program of care may include physical, occupational, or speech therapy, or a combination of the services. Our highly skilled therapists receive ongoing training and use the most researched and successful therapeutic interventions to treat your special condition. 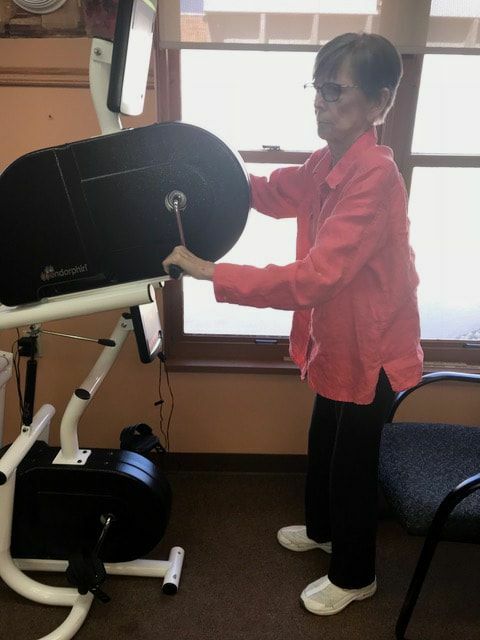 We use combination of manual therapies and equipment designed for older adults. We want you to be at your very best and make sure upon returning home. From day one, our care team is working together to plan for your discharge and to ensure that your transition home is smooth. Your living space may need some modifications to safely access your rooms and to preform daily living activities such as bathing, cooking, sleeping, etc. Your therapist may perform a home visit to suggest home modifications, adaptive equipment recommendations and tips needed for your safety. Physical therapists are experts in the treatment of muscles, bones and nerve conditions/injuries that affect peoples' abilities to move and function in their daily lives. Physical therapists focus on providing their patients with customized treatment regimen and exercise needed to regain strength, flexibility, balance and most of all, confidence. 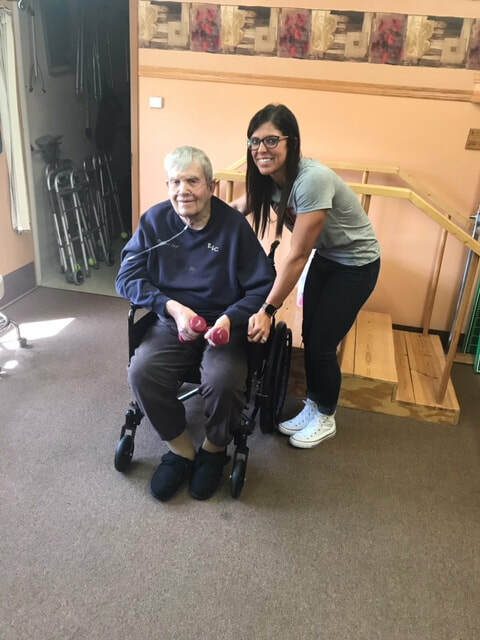 Occupational Therapy provides an individual with the tools and techniques to over come obstacles from injury/illness to return to normal function of everyday life. Occupational therapists work with individuals to relearn how to dress, bathe prepare meals, manage medication, and preform light house duties. This goes beyond physical therapy where mobility is the key. Occupational therapy works on the finely-tuned motor movements to perform specialized tasks. In some cases, an injury leaves a patient without the ability to do tasks, so an occupational therapists can teach compensation techniques and ways to alter the environment around them. Speech-language pathologist provide evaluation and treatment of defects and disorders of the voice and spoken and written communication. Speech therapy also evaluates and treats neurological and physical disorders and conditions caused by an injury or illness such as Dysphagia (problems swallowing), Apraxia (disorder of motor planning) and Dysarthria (motor speech disorder). With therapy, patients can restore their ability to communicate effectively, even if it is different than before. Our, licensed, highly skilled therapists are specialists in treating conditions just like yours. You can count on our team work with you one-on -one while using the most researched and effective therapy programs and interventions to help you achieve your highest outcome.